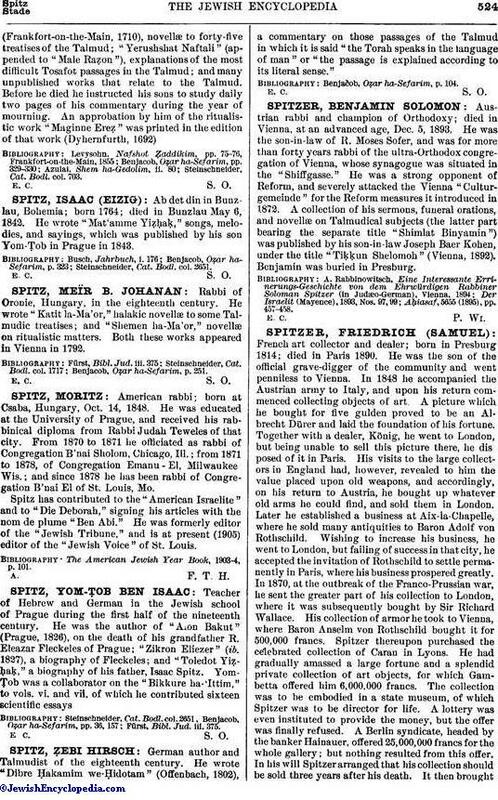 Austrian rabbi and champion of Orthodoxy; died in Vienna, at an advanced age, Dec. 5, 1893. He was the son-in-law of R. Moses Sofer, and was for more than forty years rabbi of the ultra-Orthodox congregation of Vienna, whose synagogue was situated in the "Shiffgasse." He was a strong opponent of Reform, and severely attacked the Vienna "Culturgemeinde" for the Reform measures it introduced in 1872. A collection of his sermons, funeral orations, and novellæ on Talmudical subjects (the latter part bearing the separate title "Shimlat Binyamin") was published by his son-in-law Joseph Baer Kohen, under the title "Tiḳḳun Shelomoh" (Vienna, 1892). Benjamin was buried in Presburg. Aḥiasaf, 5655 (1895), pp. 457-458.